It's a gorgeous journey with a group of women. I will open our Sadhana and we will all share our intentions into our private FaceBook Group. You receive an email daily into your inbox with the daily practise. We will meet and have group calls each Saturday/(Friday US/Canada). We will have 3 in total. These will be recorded and sent out to those who aren't able to meet online. It's a safe container and fully supported. 21 days to journey together with me as your guide. You may establish a daily practise. 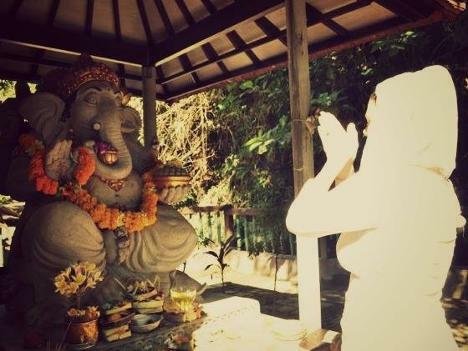 The emails include meditations, processes, ceremonies, music and other instructions. It's simple and easy to follow, it can take 5 minutes a day or as long as you like. Any one can incorporate this into their life. A journey will undoubtably be incredibly powerful.... 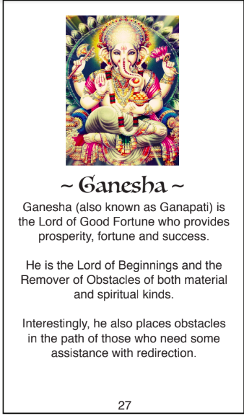 I'm regularly at the Ganesha Temple here in India. If you are wanting to eradicate some old belief systems or outdated operating systems, this Sadhana is for You. Time to work on shifting and embodiment. Any woman who is serious about doing the work. This is a serious undertaking and I hold a powerful space for the entire time. I will be fully present the whole journey and you will have direct access to me for the entire 21 days. There will be a dynamic group women gather and sharing your space in the group will be a very memorable time. To take your seat in the Sadhana you pay using the buttons below. As soon as you pay your will receive your welcome email and can prepare for our Sadhana. You can use Credit Card, Debit Card or PayPal for your purchase. Click the checkout with PayPal button and select which payment you choose. 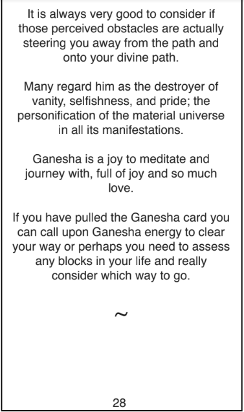 Images from the Ganesha card in the Living God*dess Oracle Card set. 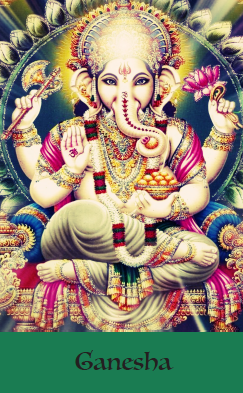 Look forward to journeying with you and Ganesha, it's my honour to guide you and what a journey it will be.